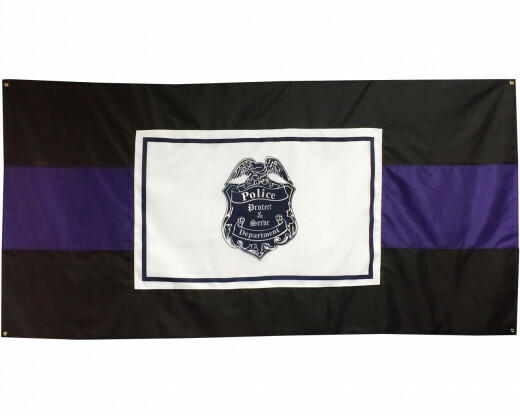 Honor a fallen officer with this beautiful handcrafted casket drape. 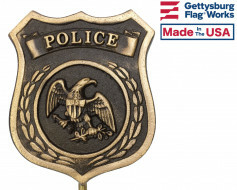 Each drape is made using a symbolic shield with the words "Protect and Serve" at the center. This funeral drape is 5' wide by 9.5' long, just like a traditional American flag used during a funeral. 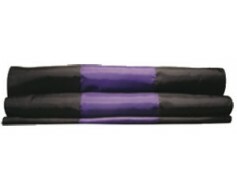 Our casket drapes are sewn nylon with a grommet in each corner for securing. 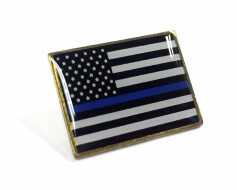 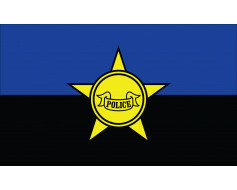 Sewn nylon stripes with a Police flag applique in the center. 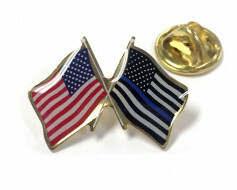 One grommet in each corner. 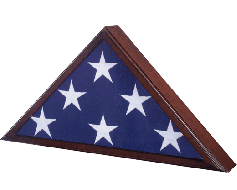 Draping a casket in a flag has been a long time tradition and Gettysburg Flag Works has assisted with many funerals through the years. 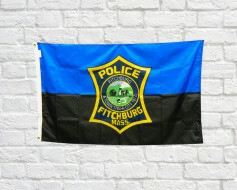 We've made drapes that have been simple or complex custom designs for police officers, firefighters, dignitaries and more. 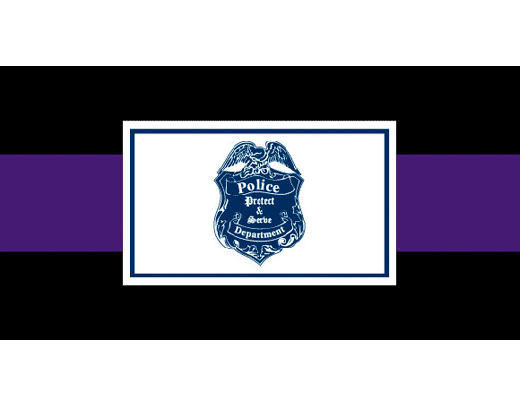 For having your department's shield or special design placed onto a funeral casket drape, please call us. 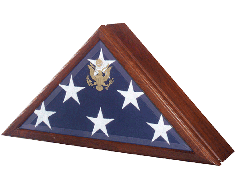 We would be honored to help you honor somebody special.